This listing is for one set of "Sock Twins". 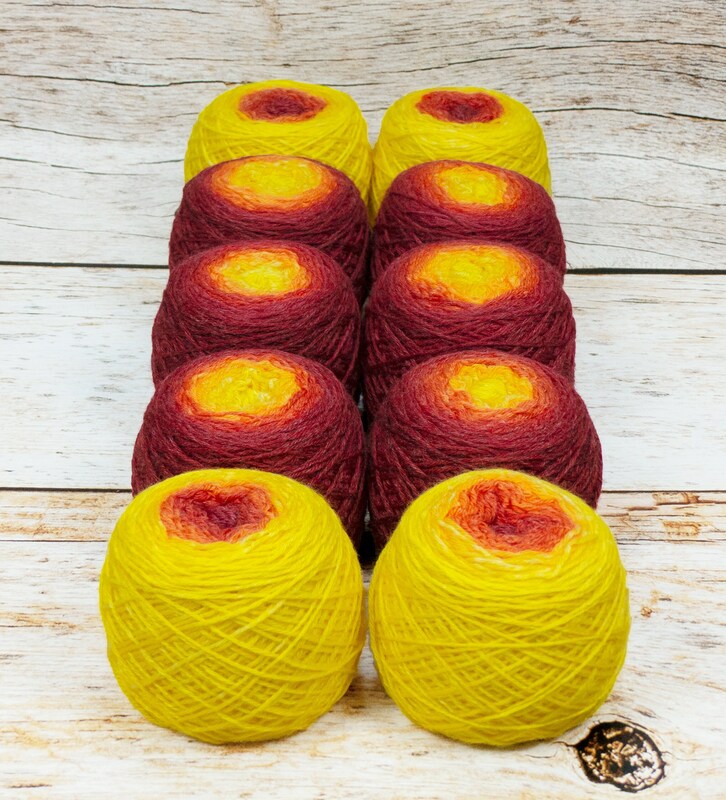 Each set includes two approximately 50g balls of yarn. These handpainted gradients are dyed side by side with their twin. Great for matching pairs of socks, mittens or gloves! The blend of SW Merino and Bamboo adds drape, strength and sheen to your finished project. My Lleaf line of gradient yarns are made from my own sock blanks and carefully handpainted with professional acid dyes in a semisolid gradient for depth and texture in your finished object. Each set consists of (2) approximately 50g balls of yarn, pre-wound into a convenient center-pull cake. Due to dying these in sock blank form the yarn is slightly "crimpy", we have not found this to have any effect on the final knitted fabric.